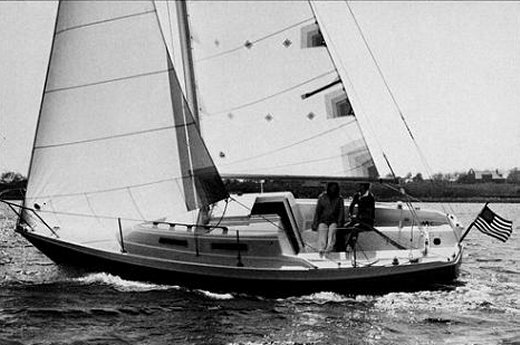 Daysailor/Weekender version of PEARSON 26 with larger cockpit, (no bridge deck) shorter coach roof, the same rig and somewhat lighter displacement. With a few cosmetic changes, this version was first called the PEARSON 26W. Of these 2 variants, at least 300 were built. All PERSON 26's have outboard wells and nearly all rely on outboard motors for auxiliary power.